You are here: Home / Just Strange / Pot. Kettle. Dark colour. 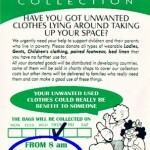 We are all very familiar with the bogus used clothes collectors that drive by in the early hours to grab the bags that have been left out in response to their regular never ending leaflet drops. 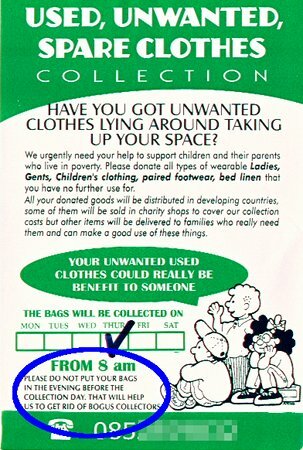 In some respects I am impressed with these bogus collectors – they are relentless in their leaflet drops and the leaflets change each time (same contact info but very different “theme” to the leaflet to try to appeal to get people to donate the clothes).